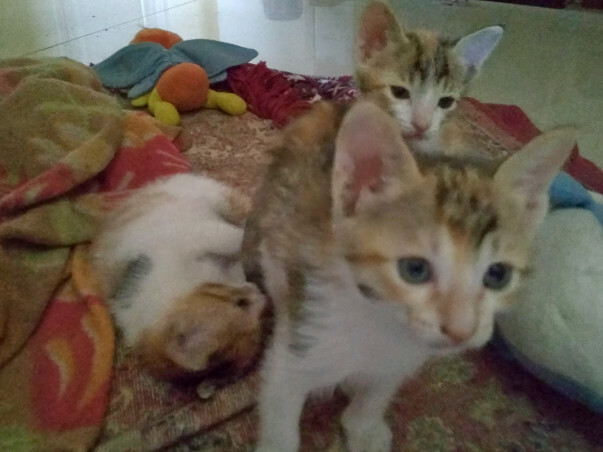 I am a student and I'm currently fostering 3 motherless kittens and 3 adult cats. I have take care of funds for vaccines and food for 3 cats. I'm short on funds for the kittens. They do not have a mother and the cost of KMR and vaccines is very high. They are all females so I want to make sure to spay (neuter) them before giving for adoption. I have negotiated with vets to bring down the price of spaying without compromising on safety. Yet I am around 20k short for rabies & cat flu vaccines + spaying surgery cost. Due to this I am also unable to take up any new needy kittens under my care, if these 3 are funded I can give shelter and care to more felines! Please help...every penny counts.